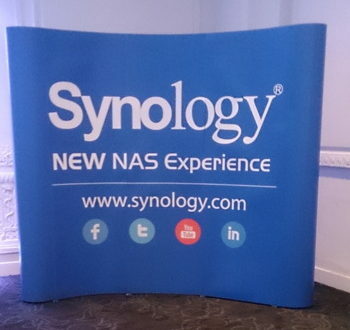 NAS vendor Synology returned with its annual NAS event, where resellers were invited to check out some of the new products on show, as well as what the firm had in store for the rest of the year. Synology’s MD Yi-Lin Huang kicked of proceedings taking to the stage to welcome attendees, revealing that over 3.2 million NAS devices have been sold worldwide since the launch of the very first NAS when the company began. 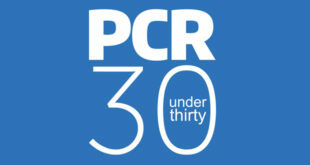 He also went on to reveal that the firm plans on expanding its team in the UK to 20 employees. Three brand new NAS products were also showcased, including the DS216Play, which supports 4K streaming and transcoding. It features a dual-core 15GHz processor and uses 6.83W of power when hibernating. Plus, its price has been reduced compared to its DS214Play and DS415Play predecessors, with a price drop of £54 compared to the DS214Play. Synology didn’t reveal what the price was for the new Play NAS. Other devices included the NVR216 NAS, which boasts a HDMI output that can also stream content in 1080P to a local display whilst consuming 15W of power when recording daily. Plus, it supports up to nine IP cameras and boasts a range of ports, including USB 3.0 and 2.0, as well as eSATA and an Audio In/Out port. Lastly, the DS716+ was unveiled, which comes with an Intel Braswell quad-core processor, 2GB RAM, 4K capability and 6W of power. 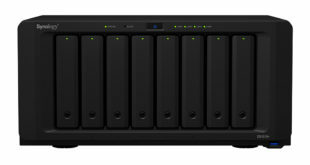 Along with this, the NAS also supports up to four users. Next on the stage came Synology’s global marketing specialist Vincent Alliaga, who outlined the company’s plans to develop its DSM operating system (OS). For example, there will be more packages available for users that will support 64-bit architecture, plus Synology will also make the OS more modular, meaning it will be much more flexible and stable. In addition, various OSs will boast up to 12 SSDs to help expand support as Alliaga said: “We are expanding all our SSD cache." Plus, a new DSM 6.0 Beta program will be launching in October for six months, which Synology is inviting users to test out. Billy Knowles, sales manager for the UK, Ireland and Nordics was next, where he went on to reveal that around 200 billion emails are sent daily, using up to 5.3PB of data daily: “That tells me email isn’t quite over yet”, added Knowles. In light of this, Synology announced its new email client, dubbed Mail Plus complete with a range of quirky stickers to send to friends and colleagues. Lastly, Knowles unveiled two new apps the vendor has designed for the Apple Watch, including DS Audio and DS Note, both of which are still in beta. Finishing up the day’s proceedings, Knowles returned to the stage where he highlighted more new products from the firm including Synology’s very first router, which boasts AC1900 Mbps Wi-Fi speeds, as well as 802.11ac dual band and beamforming support. 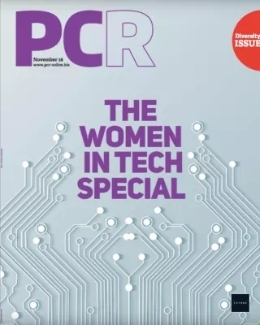 PCR first reported on the RT1900ac router in July, but this was the first time resellers were able to catch a glimpse of the new device. 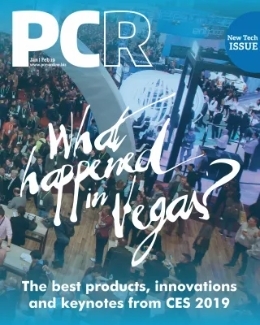 As well as this, Knowles highlighted some new changes that will roll out on the firm’s Surveillance Station, including the addition of built-in ONVIF search and real-time streaming. 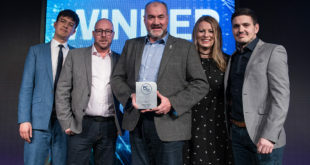 Continuing the security theme, Knowles took the opportunity to demonstrate one of Synology’s Surveillance Stations in use, where a thief was caught on camera swiping one of the firm’s notebooks at a recent event. You can check out our Facebook gallery from the event by clicking on the image below. 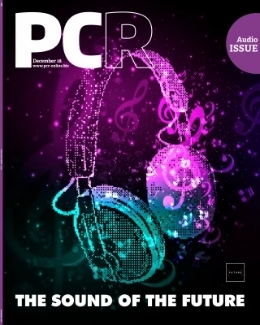 Next What does Exertis’ China expansion mean for the UK PC channel?